An optimized lighting for your bathroom is important not just for aesthetics but also for many practical reasons. First off, it’s one of the first places you walk into after waking up in the morning so a perfectly-lit bathroom can make or break your mood for the day. Aside from washing and grooming, some people also take their medications here. To further stress the importance of optimal lighting in the bathroom, this is reportedly where accidental falls happen to 80 percent of older adults. When it comes to overall health, getting as much natural lighting can benefit a person’s circadian rhythms which regulate wake/sleep cycles. Chandeliers are undeniably beautiful, and people have been using them for decorative purposes for many years. These chandeliers can be very practical, too, as they are capable of lighting up your bathroom brilliantly. You can use a chandelier in your bathroom very easily, and it will look great. Depending on the type of decorative philosophy you are adhering to, you may want to go with an option that is really ornate or a bit understated. The good thing about chandeliers is that they have so many different variations. You can find several different styles of chandeliers, and they all give off a very different vibe. You might see a beautiful crystal chandelier in someone’s home one day, and then notice a rustic chandelier in a different home sometime later. Both options are very beautiful, but they provide different options and evoke different feelings in the people looking at them. There are a lot of things to consider when picking out a chandelier to use as lighting. You will want to make sure that it matches up well with everything else that you have going on in your bathroom. You don’t want to buy a chandelier that is going to clash with your other decorative choices. The chandelier is definitely going to draw a lot of attention in the room, so it will be a focal point. Whatever your choice winds up being, you will definitely have a good looking bathroom area when you make use of chandelier lighting. This is going to be really convenient for you, and it will impress your guests every time that they come over. You will be able to feel proud of your chandelier and will get many years of use out of it. It may not be the most affordable option depending on your tastes, but it is definitely one of the prettiest. 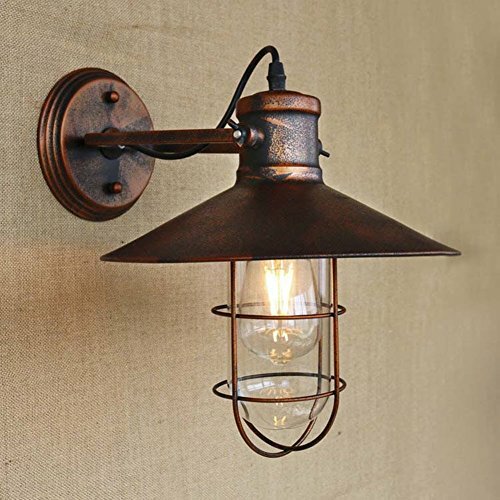 You are likely familiar with lighting sconces as outdoor light sources. Many people use these types of lights to light up their porches or their patio areas. 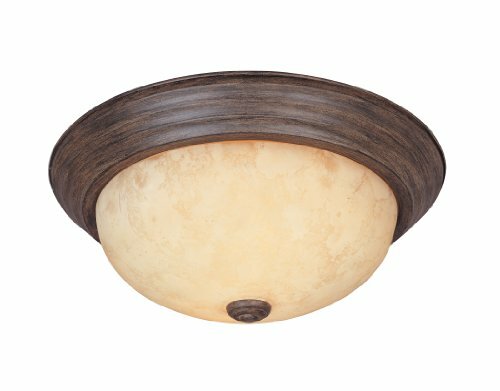 This is probably the most common use of lighting sconces, but they are also quite prevalent when it comes to indoor use, too. You can purchase light sconces that will be able to be used indoors very easily. Lighting sconces are absolutely perfect to use in your bathroom. They can be placed just about anywhere on your walls, and you will be able to use them to have plenty of light. Most people decide to place these lighting sconces on the wall right by their sink. The ideal placement for lighting sconces will really depend on the layout of your bathroom, so you will need to use your discretion to make use of them in the best way. Light sconces are great because they come in so many different styles. If you like using a certain theme in your bathroom for decoration, then you should be able to find a light sconce that will match up perfectly. If you are going for an extravagant look, then you will be able to find a beautiful light sconce to accompany your other decorations. Likewise, if you want to find something that is a bit more rustic, that will be available, as well. The choices available to you when picking out light sconces are quite remarkable. You shouldn’t have any trouble at all finding options that are appealing to your sensibilities. The biggest problem might be narrowing down the list of light sconces that you’re interested in. Buying a couple of light sconces and setting them up in a balanced way is probably going to be your best bet, so start searching for the right option for your bathroom. Ceiling lamps might be the most common source of light that you will find in people’s bathrooms. This is a very reliable way to light your entire bathroom, and it works very simply, too. It is very possible that your bathroom already came with this type of lighting, but if it didn’t, then it should be really easy to install. If you aren’t confident in your skills, then getting an electrician to come in and install a new lighting fixture will be a must. Ceiling lamps are attached right to the ceiling of your bathroom. There are a whole bunch of different styles to choose from, so you won’t be wanting for options. This makes it really easy to match up your ceiling lamps with the other decorations that you have in your bathroom. You should be able to find something that has the right design and color to appeal to you. Once you have picked out an option that will work in your area, it is really easy to make use of it. You simply flip the light switch in your bathroom, and you’re good to go. Some lights have fancier methods of turning themselves on, too, but the model being shown off here is a more traditional style. You can seek out ceiling lamps that are motion sensitive and will turn on when you enter the room. 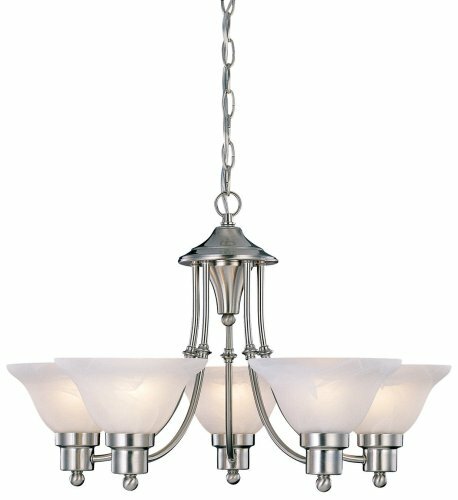 Pull chain ceiling lamps are also available, but they have become a bit less common in recent years. These are also not as convenient when your ceiling is too high to make it practical. Depending on the height of the ceiling in your bathroom, having the ceiling lamp wired into the bathroom is going to be the best solution. Regardless, you will have a good time making use of a ceiling lamp in your bathroom, and it will be easy to change it out if you want to switch styles down the line. It is possible to build lights right into your mirror as a convenient lighting solution. This is going to be very useful when you’re trying to get ready to go out on the town. Having a light on your mirror is really nice overall, and it has many benefits. There are times when you want to have just a bit of light so that you can see what you’re doing, and this mirror lighting solution is going to provide just that. You won’t have incredibly bright lights in your mirror unless you decide to install something with a high wattage. It is possible to do that, but most people like the lights to be bright, but not overwhelmingly so. This means that the mirror lights may not be enough to provide sufficient light to the entire bathroom. 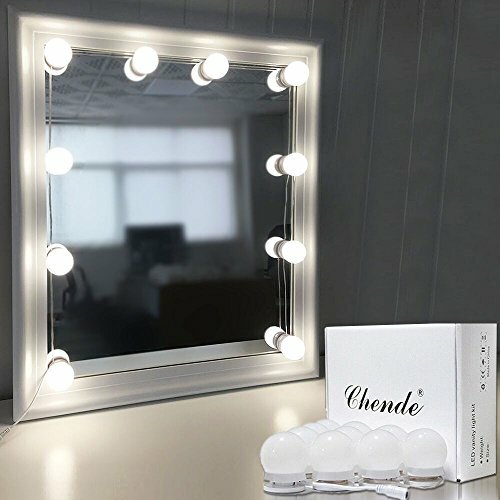 Some people use these as mood lighting, and others use it simply for doing their makeup or shaving. There are a few different ways that you can go about installing lights in your mirror. You can attach LED light strips to the perimeter of the mirror. This method is very simple, and it provides good results. You could also decide to install several small light fixtures and put tiny light bulbs in them to provide light. 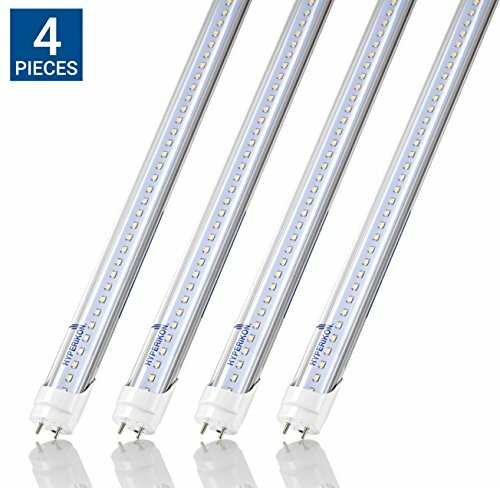 The light bulb idea is going to provide the brightest light, whereas the LED light strip is going to work better as mood lighting. It is up to you which route you decide to take with this. It is definitely worth doing if you like the idea of having your mirror lit up. You spend a lot of time getting ready in the bathroom, so having that be a more pleasant experience is definitely worthwhile. 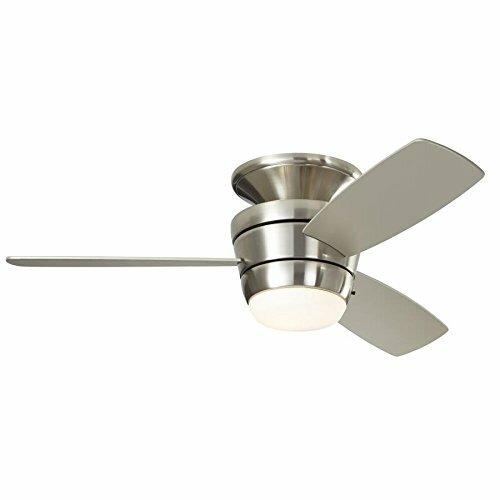 Larger bathroom areas may benefit from having a ceiling fan with a light attached to it. People love ceiling fans because they look really nice and are able to help circulate the air. Getting the air moving around in a room can keep things from feeling stagnant and will make the situation more comfortable overall. You can make use of this type of a lighting solution in a larger bathroom very easily. The light on this ceiling fan is going to act just like the ceiling lamps mentioned above. They are perfect for lighting up the bathroom effectively, and they’re easy to use. Sometimes these lights will have globes on them, and, other times, there may be several singular light bulbs present. Whatever type of light your ceiling fan does have, it should work well to light your bathroom area. Big bathroom areas are going to be able to house a ceiling fan with a light fixture without it being a problem. Smaller bathrooms would feel somewhat cramped if a ceiling fan were installed, so this isn’t going to be a solution that works for every home. This is something that can be considered if you have the room for it and if you think it appeals to you. There are benefits to having the ceiling fan in there; you just need to be sure it is what you want. Take some measurements of your bathroom area, and then, see how big the ceiling fan you’re thinking about purchasing is. If everything looks like it is going to work out without making the bathroom seem too cramped, then you can move forward. This will be an easy source of light for you, and you will have a nice ceiling fan to enjoy. Spending time in the bathroom to get ready for a night out might be more relaxing with the fan present. 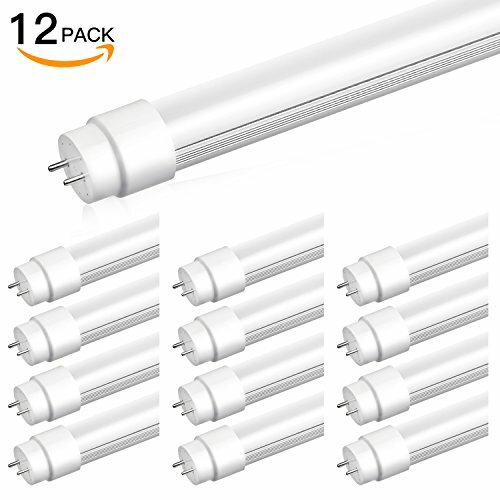 There are some people who are starting to use light tubes in their bathrooms. This is actually pretty common for businesses and other public buildings, but it isn’t something that you see in people’s homes very often. Light tubes are a convenient way to provide ample light to a bathroom, and the installation of these light fixtures is pretty simple, too. If you have a larger bathroom, then this could be one of the best ways to light your bathroom up. At first glance, you might think that using light tubes in your bathroom seems a bit cold and impersonal. This doesn’t have to be the case, as you can buy light tube fixtures that will go very well with your decorations. Some of the fixtures may even be able to be decorated in different ways to make them fit in even better. You can certainly get creative when you decide to make use of a light tube fixture. This type of a lighting solution may not make as much sense in a smaller bathroom, though. This is something that people with larger bathrooms would consider, as it is more practical. Smaller areas might wind up feeling too bright with a large light fixture illuminating things. Think about whether or not you will be able to make good use of this before moving forward. 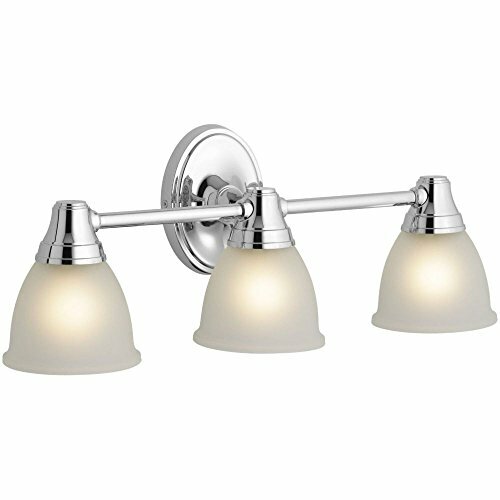 Low hanging lamps are something that you may want to consider if you are looking for some more unique options when it comes to bathroom lighting. These lamps are really interesting looking and will certainly give your bathroom a unique appeal. These lights attach to the ceiling and will hang down. Most of these lamps are wired into your bathroom and will then be turned on with a traditional light switch. It is possible to find low hanging lamps for your bathroom that are turned on with a pull cord, as well. These are a little less commonly used in modern times, but you will be able to find one if that is what you would prefer. Either way, these lamps are really convenient and can provide enough light for you in your bathroom. It helps to create a fun atmosphere in the bathroom and also feels kind of modern. 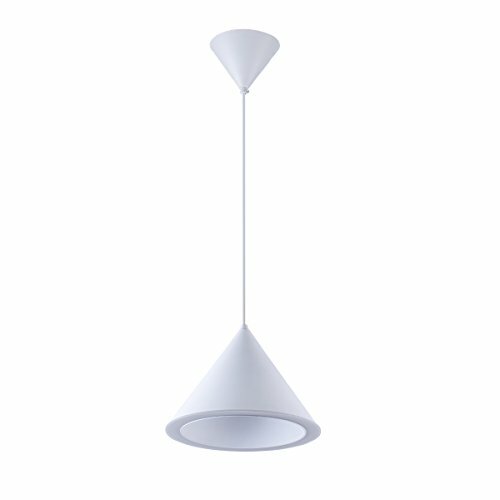 There are different styles of these low hanging lamps that you will be able to choose from, as well. You will find that many of them are either black or metallic in nature. The one being shown off here is white, and it looks very sleek. It has a smaller surface area than some other options you will find on the market, but it still provides your bathroom with a lot of light. You will be able to find larger lamps or even smaller ones if you need to. If lighting sconces don’t appeal to you, then this is a good way to have a light in your bathroom that is up and out of the way. You may not be able to make use of this type of a lamp if your bathroom ceilings are somewhat low. You don’t want the lamp to be so low that it gets in your way, so just take everything into consideration before you purchase one of these. Installing a few different single light bulb fixtures is an interesting design choice that a number of people have been toying with as of late. This will involve simply having a light socket installed in your bathroom wall where you can place a light bulb. For the best results, you would usually want to place these fixtures above your sink. It’s also smart to try to be as symmetrical as possible to make it a visually pleasing design choice. The light bulbs can actually provide a significant amount of light to the bathroom if you buy the right bulb. Without lamp shades to dull their light, you will find that these will be sufficient to illuminate the entire room in most cases. Installing two or three of these on the wall above your sink will work quite well. It just comes down to whether you like this design choice or not. There are several ways you can play around with single light bulbs from a design perspective. Some people have been placing pictures or paintings between the light bulbs. Using some decorations to make the wall with the light bulbs look more interesting should work nicely. You will be able to use your imagination to come up with something that will be eye-catching. This is a good option because it generally won’t be all that expensive. It shouldn’t be difficult to install a couple of light fixtures in this spot. Once you have that figured out, all you will need to do is buy some light bulbs. This is a simple solution that, depending on your sense of style, you may be able to appreciate. Another really popular way to light up your bathroom is to make use of nautical sconces. These nautical sconces will go really well if you’re a fan of decorating your bathroom with a sea theme. Lighting sconces are a very versatile light source, and there are so many different things you can do with them. They are capable of complementing just about any design style, but this particular sconce is going to work best with sea-themed bathrooms. If you have an affinity for the water, or if you just enjoy that look of classic seafaring vessels, then this is going to appeal to you. These nautical sconces have a really simple but visually appealing look to them. They can be purchased at a fair price, too, so this is an option that won’t break the bank or anything. You will be able to buy several of these and make use of them in your bathroom quite easily. People usually place these nautical light sconces right above their sinks. It is easy to place two or three of them in a symmetrical pattern that will look very nice. Once you have them all set up, they will actually light up your bathroom really well. You’ll be able to enjoy a very functional lighting system that will also fit right in with your décor. As mentioned above, there are many different kinds of light sconces that you can choose from. Even among nautical light sconces, you will find different variations in style. Sometimes these nautical sconces are referred to as marine sconces as well. They’re the same type of thing, so this is merely another way to refer to them. Having a window in your bathroom is going to be really nice in certain situations. It will allow you to let natural light come into your bathroom area, and this will add to the feeling of relaxation. Depending on where your bathroom is located in your house, it may not be possible to have a window. As long as your bathroom is appropriately located, you’ll really like having a window that you can open. The main purpose for having a window installed in your bathroom will be to provide some natural light. A good secondary purpose of this window is to allow your bathroom to air out sometimes. If you don’t have a ventilation system in your bathroom, then the room can become very damp and humid after someone has taken a shower or a bath. Having a window in this situation is going to be very useful. It can also be nice to simply enjoy the breeze while you’re spending time in the bathroom. 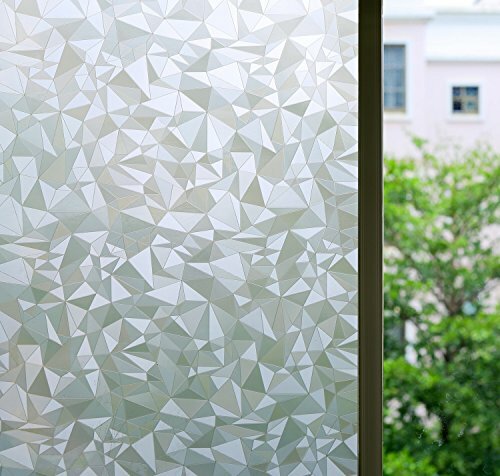 There are a plethora of different reasons that you would want to have a window in your bathroom. If you don’t already, then it is worthwhile to get one installed. You may want to turn to professionals for help if you aren’t confident in your skills, though. Another option that you should consider is installing a skylight in your bathroom area. This can be really romantic, as you will be able to gaze up at the stars while you’re enjoying a nice relaxing bath. If you pair a skylight with a spacious couples bathtub, then it can certainly make for memorable evenings spent together with your spouse or significant other. There are many skylight options that you can look at, too. Some skylights are simply like picture windows on the ceiling, whereas others will open up to allow the night air to fill the room. 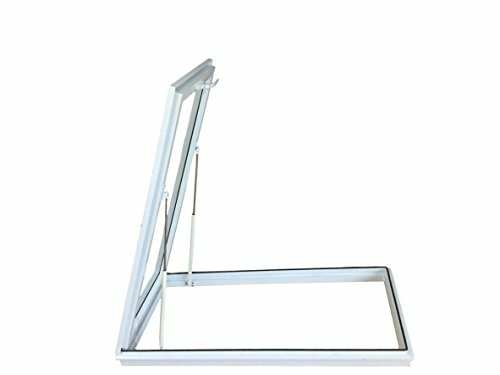 If you decide to get one of the skylights that open, it would be beneficial to buy a model that opens via remote control. This makes everything a lot easier and will allow you to control the skylight without having to get out of the bathtub. Convenience is important, and this feature is one that you will get a lot of use out of. A skylight will provide an ample amount of natural light for your bathroom. This option isn’t going to light up your bathroom when the sun isn’t shining, of course. You will need traditional lights as well, but this could be an option that you will very much enjoy. Keep it in mind when you’re thinking about adding in some natural light to the room.